This black ankle boot (183010093) created by Fred de la Bretoniere is a true wardrobe essential. 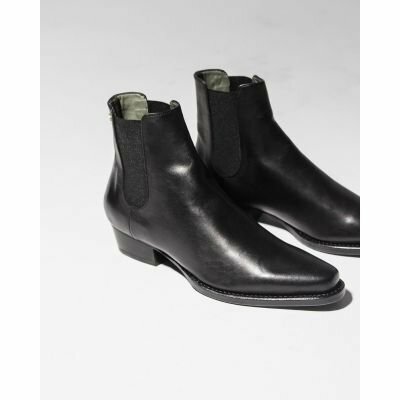 The black boot is made of smooth leather. The elastic fit makes sure that you easily can take your shoe off and on. 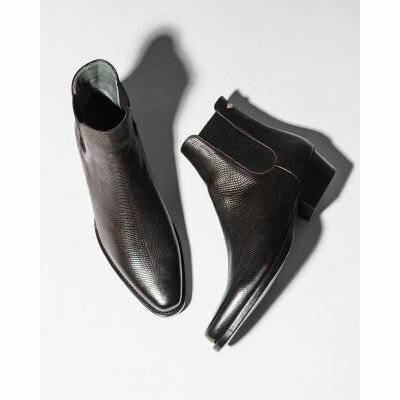 The pointy nose gives the ankle boot a luxury appearance. You can combine the boot with bold jeans or a flirty dress. The shoe is also available in printed leather (183010092). We advise you to treat the shoes with water and dirt repellent spray regularly.